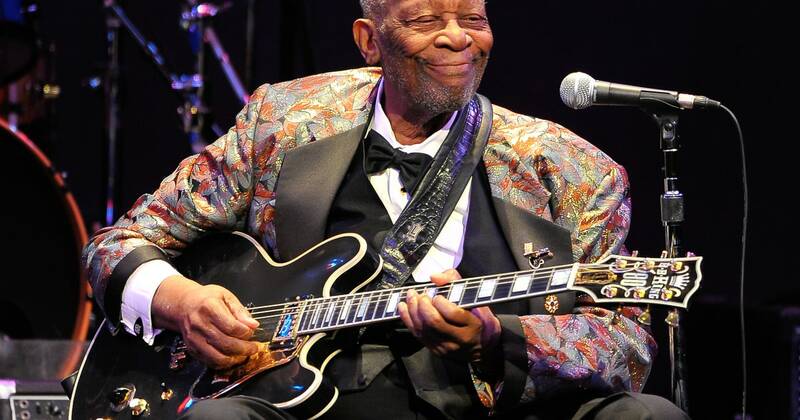 King was inducted into the Rock and Roll Hall of Fame in 1987, and is considered one of the most influential blues musicians of all time, earning the nickname "The King of the Blues", and one of the "Three Kings of the Blues Guitar" along with Albert King and Freddie King. King was known for performing tirelessly throughout his musical career, appearing at more than 200 concerts per year on average into his 70s.In 1956 alone, he reportedly appeared at 342 shows. King was born on a cotton plantation in Berclair, Mississippi, and later worked at a cotton gin in Indianola, Mississippi. He was attracted to music and the guitar in church, and began his performance career in juke joints and local radio. He later lived in Memphis, Tennessee, and Chicago, and toured the world extensively. King died at the age of 89 in Las Vegas, Nevada, on May 14, 2015, from congestive heart failure and complications from diabetes.